The py2neo OGM centres its operation around the new GraphObject class. This acts as both a base class upon which domain objects can be defined and a manager for the underlying node and relationships that persist it. Here, we define a Person class with two properties. Properties in Neo4j have no fixed type so there’s less to define than there would be for a SQL field in a typical ORM. We’re also using the same names for the class attributes as we do for the underlying properties: name and born. If necessary, these could be redirected to a differently-named property with an expression such as Property(name="actual_name"). 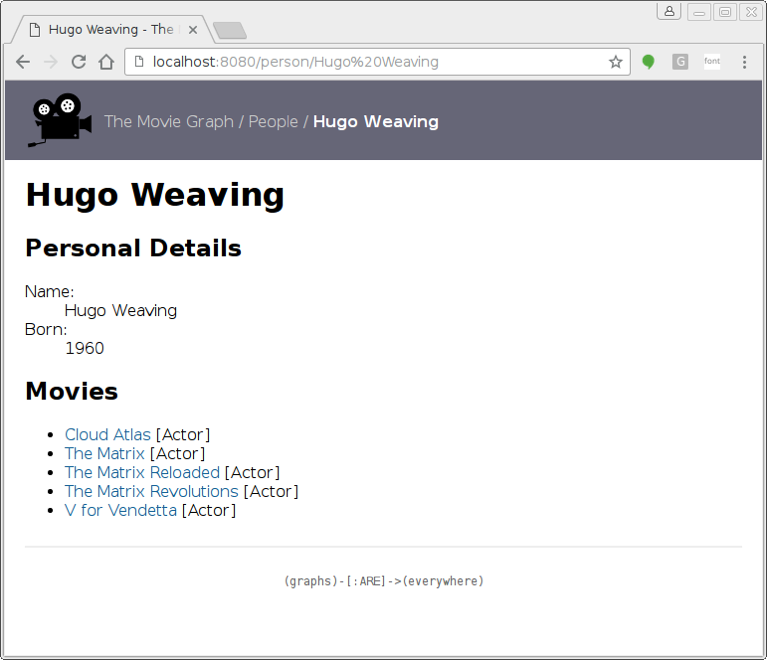 There’s a lot more information available in the py2neo documentation and there’s also a demo application in the GitHub repository that shows how this all comes together in a mini movie browser (screenshot below). 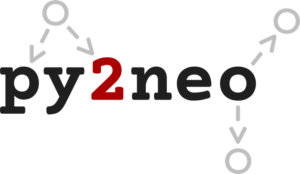 As always, if you have any questions about py2neo or the official drivers, I’ll try my best to help. My contact details can be found somewhere on this page probably. 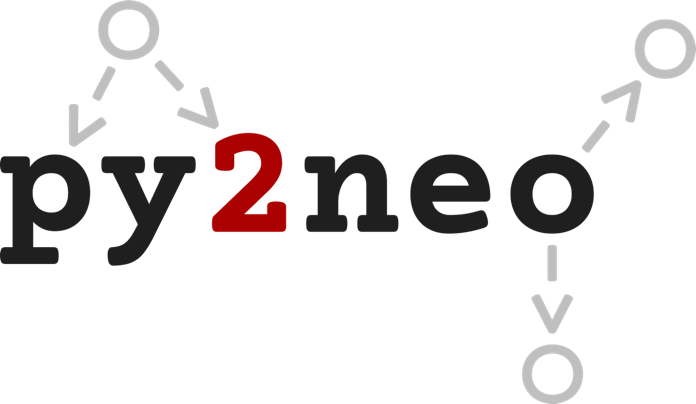 Using py2neo 4 installed from pip on OSX w/ python 2.7.13 .